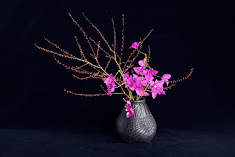 While we try to promote Ikebana Gallery Award (IGA), we sometimes hear the statements like “Our master said that Ikebana should not be judged,” “Why do we have to compete?” There is some truth in those statements. After all, everyone is allowed to have their own beliefs or philosophies. As long as they don’t harass us or act unethically online, we can just ignore them and ask them to leave us alone. If they are persistent, all we can do is to ask them to read the mission statements on our website. However, there are some points to make about such a narrow view on judging and competition in ikebana. 1. All of the three major ikebana schools (Ikenobo, Ohara & Sogetsu) are running their own ikebana competitions today. They recognise the benefits of competitions in ikebana. But we have to note that they are “the winners” in the field of ikebana in which there are over 1000 schools. Some of the other schools may insist that those winners’ attitudes are not always right and may even develop a negative attitude to competitions in ikebana. Instead of attacking those large schools, some of them may attack us, as we are a small and easy target at the moment. 2. 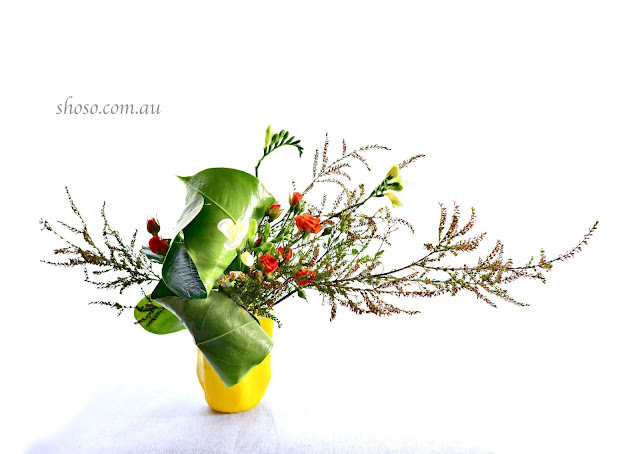 Historically, competitions have always existed in the development of ikebana. However, the concept of competition in ikebana is not the same as those in contemporary professional sports, for example, where winning is highly and sometimes overly valued. In principle, ikebana is an inner pursuit. Our main focus is internal growth rather than what expressed externally and therefore not comparable. Accordingly, even after Western Modernism influenced ikebana in 1920’s and 1930’s, competitions that followed the style of Western art were not always well perceived. Some competitions were totally unsuccessful. History of ikebana competitions is a fascinating research topic but I won’t go into more detail here. Seeing some ikebana competitions being managed properly and getting appropriate attention today, however, I personally feel that ikebana practitioners are mature enough (or Westernised enough) to enjoy friendly competitions. I am confident that IGA will present a positive case study and will prove to be historically significant as a researcher has already mentioned. Everyone is a winner in IGA. 3. Ikebana discourse overseas is sometimes different from those in Japan. I hear such statement as “ikebana should be this and that” just too often. Some overseas ikebana masters (and their followers) can be more authoritative than masters in Japan. They tend to mystify ikebana. They are often angry and prone to criticise others. In addition they hate competitions. We may need to keep away from those “masters”.